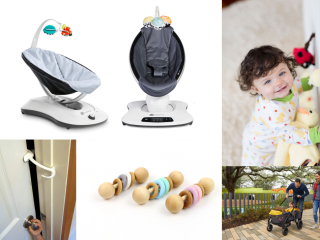 In the past, we’ve written about all sorts of sustainable and eco-friendly mom and baby products but this week we’re focusing on brands that convert plastic bottles into stylish products for your baby registry and home. Mohawk – a leader in sustainable and environmentally responsible flooring – uses recycled plastic bottles to make its EverStrand line of carpeting. The plastic bottles actually create a stronger yarn than other PET. 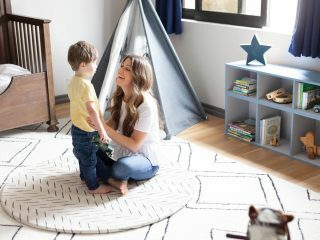 So you will get a durable, long-lasting carpet that contributes to a cleaner planet: made with up to 100% recycled content. 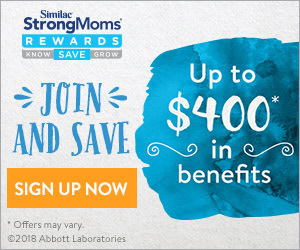 With a robust selection of textures and colors featuring exceptional color clarity and fade resistance at an affordable price, you’re sure to find one that fits your style and your budget. 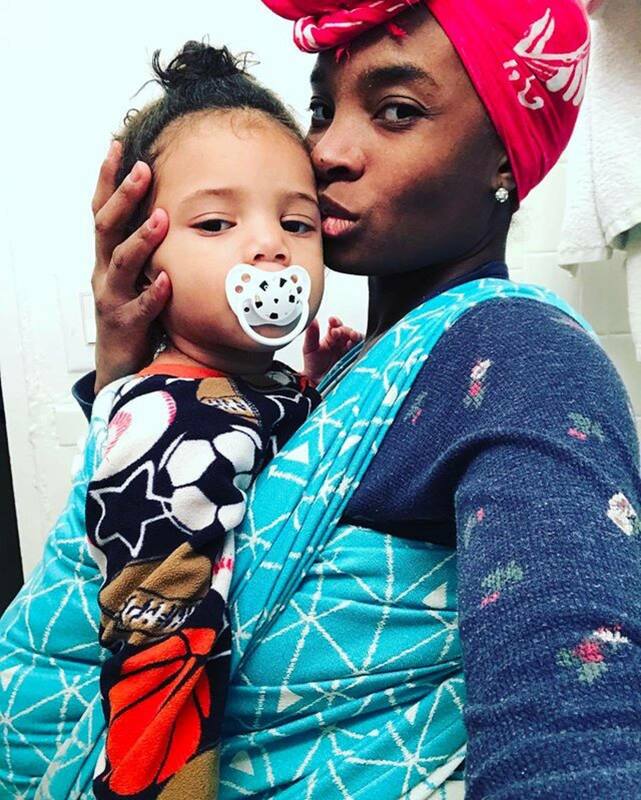 The Lassig Green Label Neckline bag continues to be one of – if not THE – most popular bags for eco-conscious moms’ Gugu Guru registries. 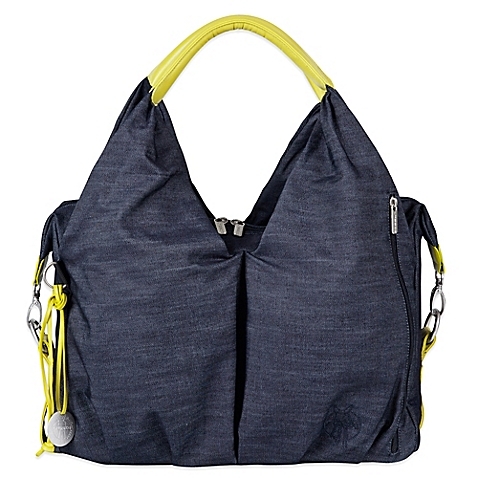 The Lassig Green Label Neckline Diaper Bag keeps you organized and looks like a super-chic handbag. 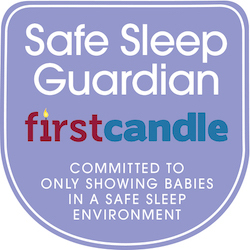 Made from recycled plastic bottles, it includes 2 large main compartments, lots of pockets, a changing pad, wet pocket, zip pouch, and more. 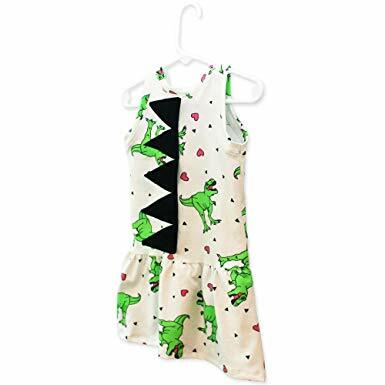 The Must Love Dinosaurs dress from Mitz Accessories is available in sizes for infants, toddlers and kids. The dress features black felt spikes that go down the back of the dress! RAWR! The spikes comfortably fold over and are made from 100% post-consumer recycled plastic bottles. 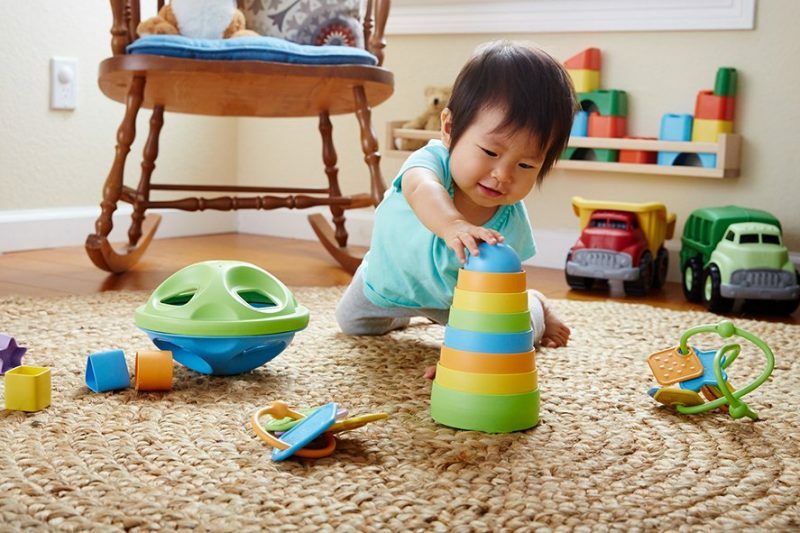 Green Toys Inc. is an eco-friendly toy company whose mantra is “every day is Earth Day.” Green Toys are made with 100% recycled milk jugs. 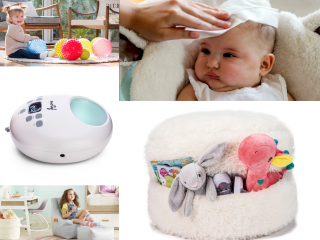 These non-toxic products are all BPA and Phthalate Free, as well as 100% USA Made. A must for homes with multiple stories (and also great for travel), the Stair Barrier is a specially designed, fabric gate for the bottom of the stairs. 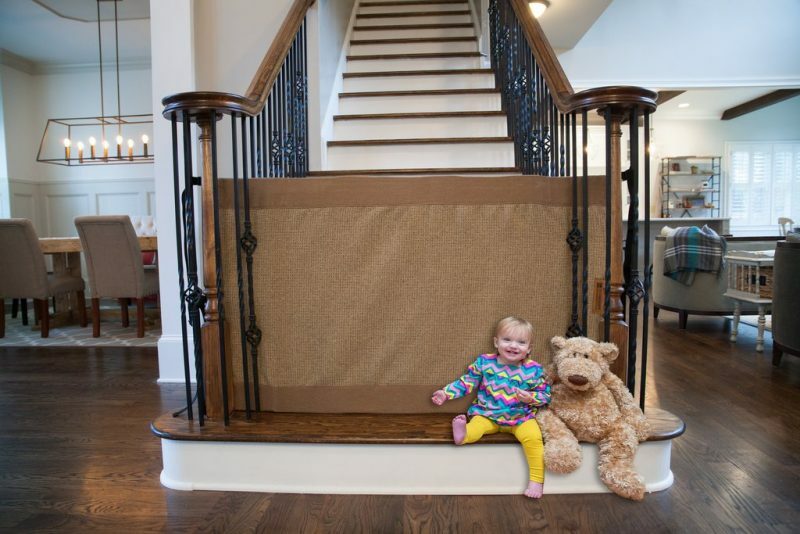 With a variety of sizing options available The Stair Barrier is a stylish and effective way to keep your child and pets safe around steps with banisters. See their collection of barriers constructed with REPREVE here. 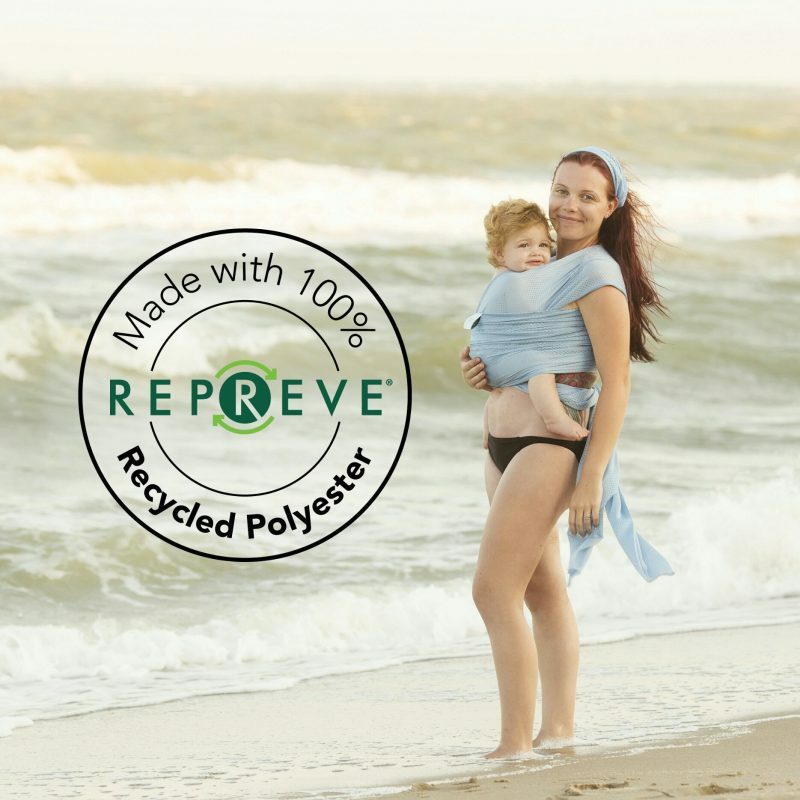 Each Beachfront Baby® Wrap made with 100% Repreve® PC polyester contains approximately 15 plastic water bottles. 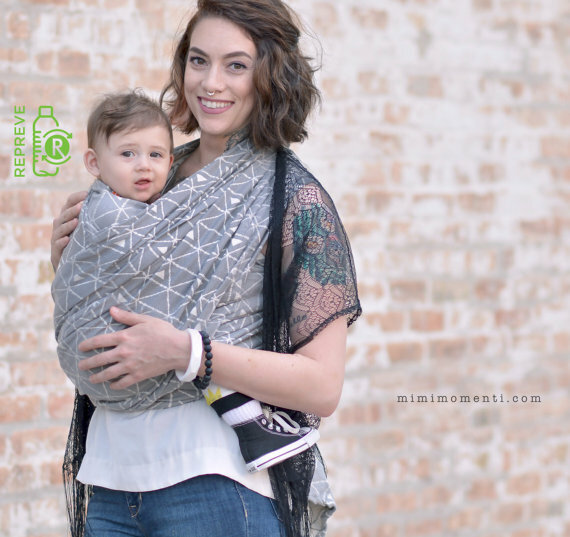 All of the Recycled Wraps come with a matching drawstring carry bag, which is also made with Repreve®, and the packaging for this wrap is printed on 100% recycled paper. 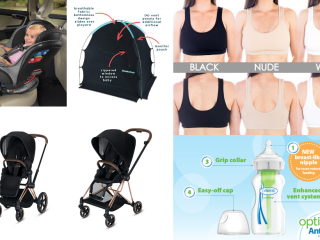 Made in the USA, all Beachfront Baby® “one size” carriers are sewn with care by work-at-home-moms in the San Antonio, Texas area. Available in Sky Blue as shown. 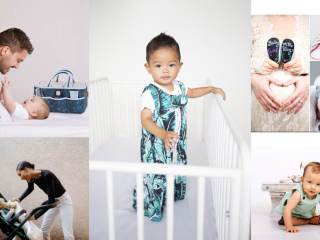 Born in 2013, Tekhni is the culmination of art, design and babywearing. 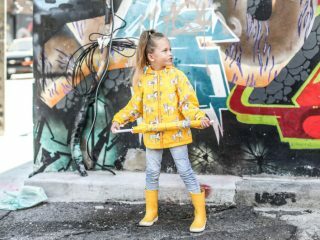 The babywearing mom founder, Alisa DeMarco, is a painter, graphic designer, dye artist and textile designer. Tekhni has made the pledge to create wraparound slings and accessories from the finest resources, finished by hand in Grayslake, Illinois. A variety of yarns and blends are used in my wraps– cotton, linen, silk, Repreve®, Tencel®, and more– chosen for beauty and comfort. Everything is finished lovingly by Tekhni’s local Chicago-land seamstresses. And for mom style, we are digging American Flora Shop. The founder of American Flora got her inspiration largely from being a ballet dancer and teacher. 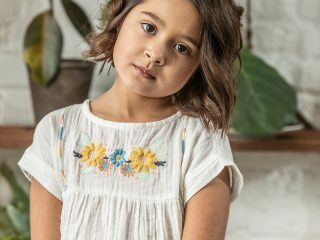 She wanted to create pieces that would provide a comfortable feel and feminine look in the studio, and would also pair well with lifestyle wear, and was particularly focused on finding a sustainable fabric. All made in the USA, American Flora’s Life. and Sport. Collections continue to reflect the passion for designing pieces with versatility and femininity in mind. 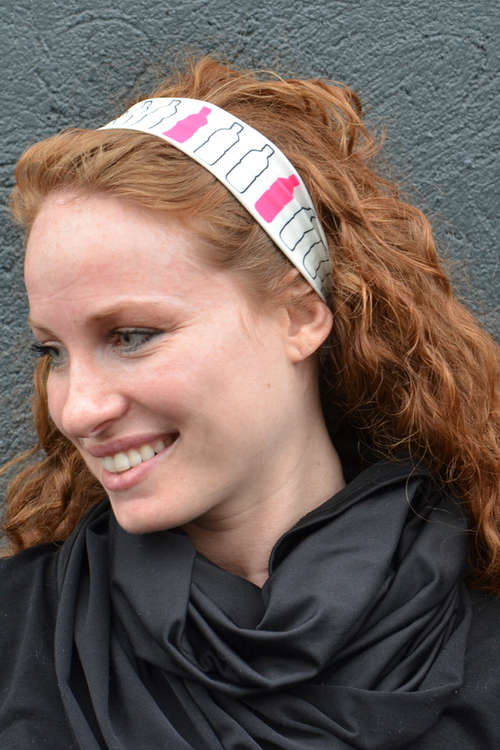 Check out this adorable Pink Bottle Headband made with REPREVE, which assures a soft, comfortable feel.